The biggest football game of the year is synonymous with snacks. This year, nix the chips and prepackaged junk in favor of healthy, flavorful, gains-fueling food. It's that time of year again—the time when groups gather to watch NFL football players toss around the pigskin. Nothing says "Go team" like a game-winning spread. This year, whip up these healthy takes on the classics. Whether your team takes home the Vince Lombardi trophy or walks away empty handed, each of these six stellar recipes will guarantee you end the night with a full stomach and a smile. Jalapeno poppers are central to every football-themed spread. Take this all-star, easy-to-follow dish to the next level by wrapping these spicy pepper bites in protein-rich turkey bacon. The addition of Greek yogurt and absence of fried, breaded coating make this a treat that's sure to bring the festivities to life for your taste buds. There's no faster way to get the party started! Combining different styles and cultures in meals is a great way to bring creativity to your diet. This is a fusion dish where Mediterranean-inspired hummus meets Latin quesadillas for a flavorful taste explosion your guests are sure to love. 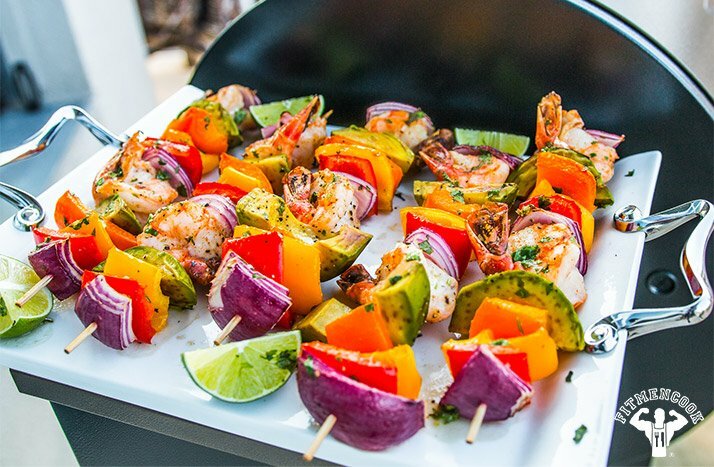 Don't let the colors fool you; these kabobs pack quite a punch! The avocado makes these seafood kabobs filling and even more nutritious! Here's a quick and easy grilling recipe that I whipped up in about 30 minutes using minimal ingredients. Winning. Just like salty, crunchy sweet-potato chips, I can't get enough of turkey-wrapped asparagus. Long story short, they make a great addition to any game-day spread. They're easy to prepare, high in protein, veggie rich, and most of all, delicious. If you're looking to add some variety and additional flavor, try brushing the wrapped spears with low-sodium barbecue sauce mixed with organic, raw honey to make a delicious, sweet glaze. Also try homemade teriyaki sauce, spicy mustard mixed with organic, raw honey, or even homemade lemon glaze—the options are virtually endless. Who doesn't love a good guacamole dip? Add some extra zing (and protein) to your next spread with this flavorful combination that's powered by the tanginess of Greek yogurt and the hearty goodness of smoked salmon. It's sure to be a hit with your game-day buds. 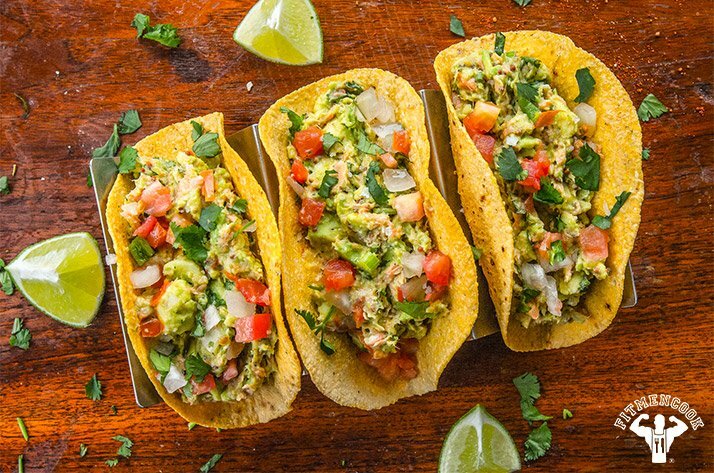 You can enjoy these with fresh veggies or stuff them in some whole-wheat tacos for power-packed bites.